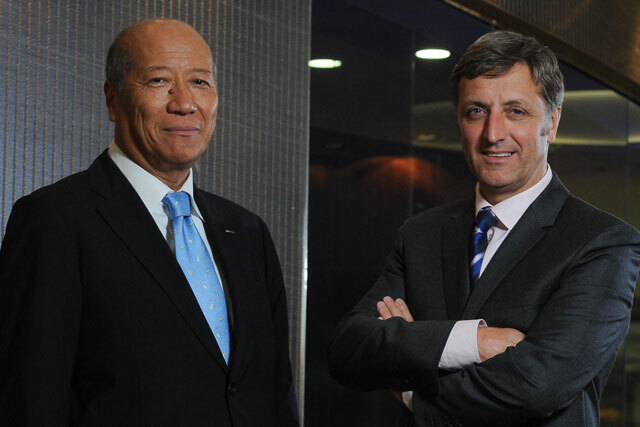 Japanese marketing services company Dentsu is to buy media buying and digital marketing group Aegis for £3.16bn, subject to shareholder approval. The offer has been recommended unanimously by the board of Aegis and in addition major Aegis shareholder Vincent Bollore has sold 14.9% of the company to Dentsu today and given undertakings to sell the remaining 11.5%. There will be an extraordinary general meeting in August for shareholders to vote on the deal. Aegis’ stockmarket valuation yesterday was £1.9bn and the 240p per share offer is at a 48% premium to that value. The world’s fifth largest holding company will boost its £2.6bn [2011 figures] annual revenues by £1.14bn with the deal, taking it closer to the fourth largest, Interpublic. Aegis claimed the valuation is well in excess of the multiples for traditional media businesses and more in line with the multiples for digital media businesses. Tadashi Ishii, president and CEO of Dentsu, said: "The timing of this combination … means we can create a global business for the digital age. "Dentsu and Aegis are coming together from their respective positions of strength following a period of significant change in the advertising and marketing industry." The acquisition of Aegis marks just the lastest of a string of acquistions in the sector, following Publicis Groupe buying out Bartle Bogle Hegarty and WPP buying the digital agency AKQA. Dentsu is eager to become a major player in the global advertising market, which is dominated by WPP, Publicis, Interpublic and Omnicom. The deal will mean that Dentsu will be able to grow outside of its home market of Japan, where sales are falling. Aegis' key network brands include Carat, Isobar and Vizeum. It employs around 12,000 people globally. Jerry Buhlmann, chief executive of Aegis – who has previously played down talk of possible sale – said he intends to stay with the group following the acquisition. Omnicom and Havas have previously been mentioned as possible buyers for Aegis. Dentsu said it began "concrete" discussions with Aegis in June. Buhlmann, speaking on a conference call, said Aegis had not been talking to other possible buyers in the past few months. The deal today (Thursday) comes only months after the Japanese company ended its partnership with Publicis. Publicis bought back a 9.1% stake held by Dentsu earlier this year.